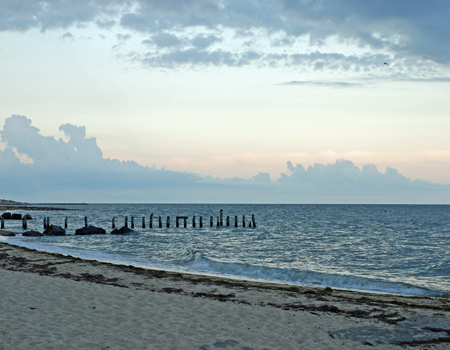 We are on the Cape for the weekend. 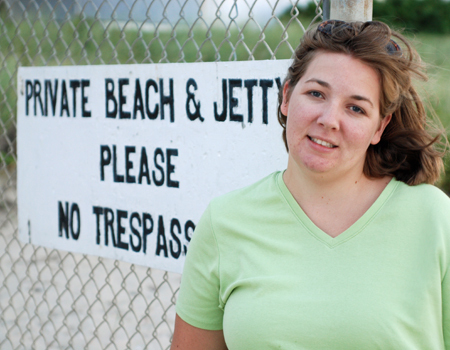 Here is Allison standing next to the sign for the private beach next to our beach. There is a woman there who spends her days yelling at people on her beach. It has been like this for years. We are used to it. Now there is a new family living on the private beach they are pretty chill about it and my parents have made friends with them too. I was trying to get a great photo of their houses but I couldn’t get the house and the clouds to look great in the same photo. I also took a few photos of the water and the sky but didn’t like them very much. This is my best one of the group. It always amazes me how people can have their own private beach, surely the wonderful works of nature should be for everyone to use not just a chosen few. It is odd, however the water and part of the shoreline cannot be private.